Play the daily lucky bonus slots for free chips! Play with Fb friends and see who’s got the best poker face or come and meet some new buddies. 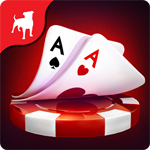 Zynga Poker is one of the top online poker games. Mobile for Android, iOS, and Windows. Play on Facebook!